London Basement has an outstanding reputation that drives word of mouth recommendation. Here is a selection of client feedback on London Basement’s services. You are currently working for us on a project in central London and I wanted to thank you and your team for the work you have done for us so far. I have nothing negative to say about any on your team which is a welcome change. In fact I would like to praise your site supervisor for his professionalism, cooperation and support during the various difficulties we have encountered. The one item I raised in relation to your works (evidence of inspections) was dealt with immediately. The site team are a credit to your company. Just a quick note to say thanks to you and all your team for your excellent work. Throughout the process I have found everyone on the team (particularly John Ward, Tony Trapani, Joe Zefi and the foreman, Ivan) helpful, responsive and pleasant to deal with, which isn’t always the case in my job. I just wanted to drop you a line following my visit to our house this morning. We are now looking forward to receiving Practical completion and very excited about moving back to our NEW home next week. I want to thank you and your entire team for your efforts on our behalf. It has been a pleasure for us to work with LBC. I know how much effort has been put in by everyone but particularly I want to highlight Robin, who has worked tirelessly on our behalf these past nine months. Robin, went out of his way on many occasions to help us and keep us informed. I am sure without him (together with Jim and Workman our project managers) the project would not have been nearly as successful. I also would like to make specific mention of Raf, who at the start of the project, was incredibly helpful and supportive whilst getting the basement dug. Finally, thank you to you All, for working patiently with us at the outset of the project to help make our dreams a reality. 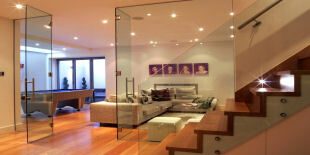 I can assure you we would have no hesitation in recommending the London Basement Company to others. Sorry I missed you , I had to go to an interview with my daughter ! We are so pleased to be back in our lovely home .We have been so impressed with LBC team, everyone has been absolutely outstanding. If you have any potential clients you are trying to convince send them my way . We are really happy to let you show potential clients and I would be more than happy to talk to them as well. We are really pleased. So glad I have Barry and Andrew for another couple of weeks , I’m not quite ready to say goodbye yet ! 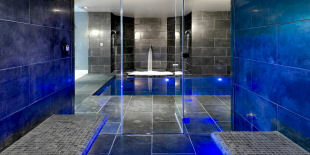 Best Wishes Mr & Mrs C.
Just come from the site – More impressed each day with London Basement!! I must thank you and your team for ensuring that the house was completed on time. The extended house really does look superb. Just wanted to Thank you for convincing us to work with London Basement Company- we have had a fabulous experience- the team that worked on our property was perfect!! Please note I am recommending you and LBC to a friend who lives in Belgravia. My business is a Property Investment Company and so I have had many dealings with builders over the last 24 years. My experience with London Basement was excellent. The team were courteous, professional, helpful and they produced a high quality job in line with the original cost and time estimate. Our basement project was a bit like childbirth – somewhat painful, but quickly forgotten in light of the finished product! However, LB were very sensitive to, and proactive in reducing to a minimum, any disruption and for much of the actual excavation and structural works we hardly new they were there. We decided to use LB because they had the best reputation for quality and care. They are not the cheapest – but definitely the best value for money. This extends to the post-completion phase – I still speak to my contact at the company whenever small issues arise and get an immediate response. Thank you for your help and contribution to make sure the project was done to my expectations. I have been impressed by your team dedication, good advice and expertise.